Concerned about the 2012 U.S. presidential election? Worried about GMOs? Fluoride? Vaccines? Secret prisons? None of that even matters if we don't solve the problem of Fukushima reactor No. 4, which is on the verge of a catastrophic failure that could unleash enough radiation to end human civilization on our planet. Reactor #4 contains 1,535 spent fuel rods which remain highly radioactive. These fuel rods currently hold the potential to emit 37 million curies of radiation. Those fuel rods are stored in a concrete pool located 100 feet above the ground, inside the structurally compromised reactor building, effectively making the pool open to the air. The pool holding these fuel rods is "structurally damaged." "If an earthquake or other event were to cause this pool to drain this could result in a catastrophic radiological fire involving nearly 10 times the amount of Cs-137 released by the Chernobyl accident." - Mr. Robert Alvarez, former Senior Policy Adviser to the Secretary and Deputy Assistant Secretary for National Security and the Environment at the U.S. Department of Energy. The opening statement says, "on the verge of a catastrophic failure," however subsequent statements say, "If an earthquake or other event were to..." These seem to be at odds. Couldn't one say my house is "on the verge of a catastrophic failure if an earthquake or other event were to destroy it"? Just how likely is the failure of Fukushima Reactor Number 4, and what would the impact of such a failure be? The assembled facts are all fairly inflammatory, and include a few common misconceptions. Reactor #4 contains 1,535 spent fuel rods which remain highly radioactive. These fuel rods currently hold the potential to emit 37 million curies of radiation. Firstly, definitions: Reactor 4 was shut down for maintenance(PDF, p35) when the earthquake struck, and all of the fuel assemblies had been removed from the reactor. There is a spent fuel pool which comprises part of the reactor 4 building, but these are absolutely not the same thing. The spent fuel pool is literally a pool filled with water for holding spent fuel rods (in their assemblies) which allows them to cool (a years-long process once they are deemed "spent" and removed from the reactor core). All of the fuel assemblies that were removed from reactor 4 prior to the earthquake were placed into this pool in the reactor 4 building. The spent fuel pool contained 1535 spent fuel assemblies at the time of the earthquake. As spent fuel assemblies are kept underwater, under normal conditions it is perfectly safe to walk around near the surface of the pool (see below), as no or very little radiation is emitted. Each fuel assembly contains 50-70 fuel rods. There are a few points here. Firstly, the concrete pool is located 4-5 storeys above ground level and is part of the structure of the reactor building itself. 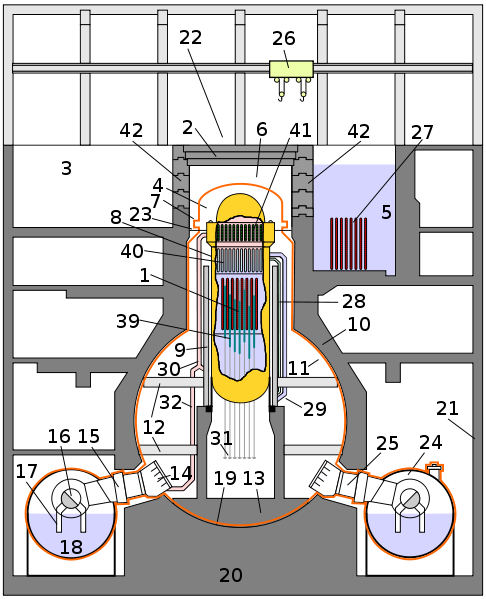 See the image below, where the spent fuel pool is labelled (5) and the spent fuel rods (27). It is not inherently more dangerous to have the spent fuel pool high above ground level - in fact the opposite is the case. 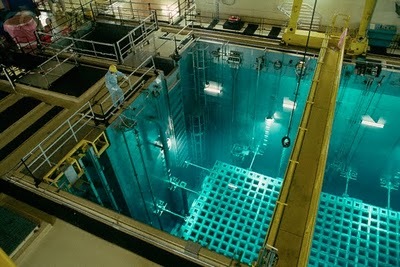 The reactor is designed this way in order to eliminate any risk of any part of a damaged fuel pool's contents reaching the water table, allowing for redundant containment systems to be built beneath it. Secondly, that the reactor building is structurally compromised. This is more or less restated in the next bullet point, which I address below. Thirdly, that the spent fuel pool is open to the air. The upper surface of the pool is normally enclosed by a sheet metal structure (see picture above), which was blown off by a hydrogen explosion (the hydrogen may have come from reactor 3 via a pipe, but there have been subsequent contradictory reports) after the earthquake. The sheet metal structure is not meant for containment of radiation, so the pool being "open to the air" is not considerably more dangerous than if the sheet metal structure was intact. The fuel pool is currently covered with plastic sheeting to minimise evaporation. The reactor building and the pool were damaged, yes. A lot of things happened, so this is a massive oversimplification. The upper reactor building (sheet metal structure) was badly damaged by a hydrogen explosion (the pool is "open to the air"). I am unsure as to whether repairs have been made to this portion of the structure, as it is not critical for structurally or for safety I assume its repair would have been a lower priority. The pool was structurally compromised. This has been defined as a "4cm bulge" in one of the walls of the fuel pool. It has supposedly since been reinforced(PDF) with steel beams and concrete pours. It should be noted that at no time during the earthquake, tsunami or explosion did the fuel pool leak. The reactor itself or other parts of the reactor building may have been structurally compromised. I can't find much information on this, but the reactor was not running, has not been restarted and it is unlikely that it ever will be. "If an earthquake or other event were to cause this pool to drain this could result in a catastrophic radiological fire involving nearly 10 times the amount of Cs-137 released by the Chernobyl accident." The fuel rods in the pool show no signs of damage when observed with overhead photography, from both the low water levels and the earthquake itself. The fuel pool has proven itself as remarkably resilient, withstanding a magnitude 9 earthquake, a tsunami, a loss of power, a loss of cooling, an explosion, low water levels partially exposing fuel rods, and minimal damage was sustained. I consider that pretty damn impressive. Given the repairs made to it, the likelihood of an earthquake causing the pool to drain is low. If it did occur, workers would follow the same procedure to keep the pool partially filled until cooling could be restored. Another earthquake of an intensity causing structural failure of the (repaired, structurally sound) fuel pool. This would have to be of a similar magnitude to the last one. That a radiological fire could and would release all of the Cs-137 contained in the fuel rods into the atmosphere. The likelihood of all four of these things happening is just not very high. I haven't even looked at the consequence if these things were to happen, I may add something later. I would assess the situation with the reactor 4 spent pool fuel as "stable, but obviously not ideal". It is not "on the verge of catastrophic failure". The end of the world is not nigh. This seems to be a fairly honest assessment of the situation. In terms of potential consequence, I have been scouring the internet for any kind of modelling performed for expected outcomes for radiological fires in fuel pools. I can't find a thing. Please comment if you know of anything. As far as I'm aware, the statement that all of the potentially radioactive material in the fuel rods could be released by a cladding fire is completely unfounded. From what little I have been able to find, it appears that runaway zirconium cladding fires are an area of active research, and there aren't any definitive answers. For one to have any chance of happening, there would need to be relatively "fresh" (hot) fuel rods that had recently been moved to storage, and for them to become completely uncovered due to another loss of cooling/water. Whether or not the zirconium "fire front" could spread from those initial assemblies to other, cooler assemblies is unknown. It also commonly stated that this event occurring may also require a physical failure in containment (dropped assembly / falling debris) causing two rods/assemblies to come into contact causing a criticality/excursion. 30th June 2012 Update: It also appears that the cooling system for the fuel pool in reactor building 4 has failed and is set to be restarted within a couple of days. Tepco has been unable to activate a backup cooling system for the pool and is looking into the cause of the trouble, officials of the plant operator said later in the day, adding it is unlikely the temperature will rise rapidly. The water temperature of the pool was 31 C at the time of the suspension at around 6.25 a.m. local time and no leakage of water with radioactive materials has been found, Tepco said. The temperature of the pool rose 0.26 C per hour by late Saturday afternoon, according to the utility. If Tepco continues to be unable to cool the pool, the temperature could reach 65 C, which is the upper limit designated in the safety regulations, on Tuesday morning. The cooling system at the No. 4 reactor was previously suspended on June 4. Through my research, it's clear that such an event would indeed effect the entire world (much like Mount St. Helens), but it wouldn't be enough "to end human civilization on our planet." An area extending 19 miles (31 km) in all directions from the plant is known as the "zone of alienation." I'm not a mathematician, but 10 times 19 miles is 190 miles (Or ~310 km). That's hardly a planet-wide apocalypse. Also from the International Nuclear Event Scale, and the Fukushima disaster earned the highest rating (Level 7) right underneath Chernobyl. 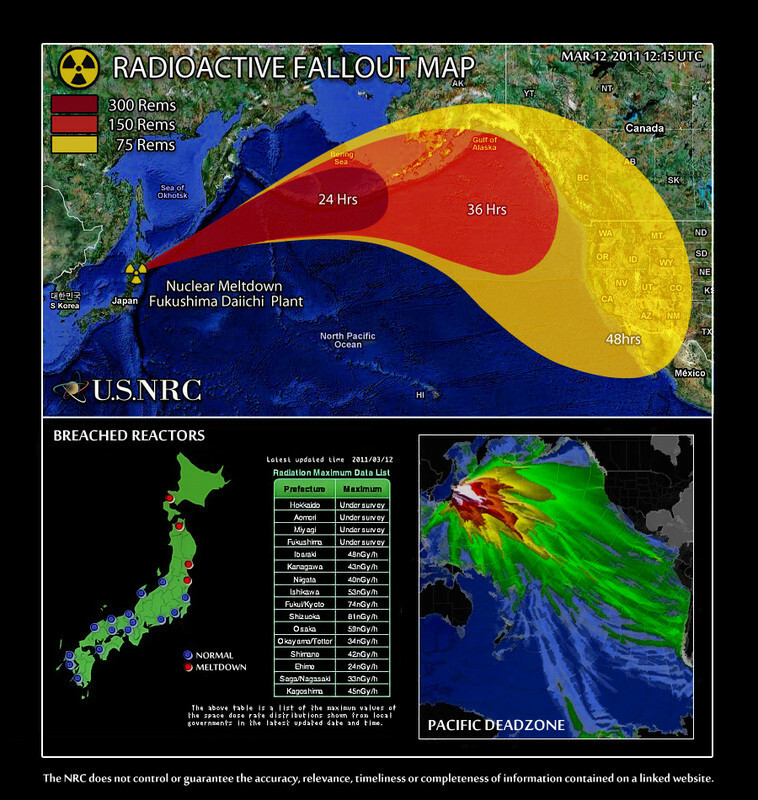 Fukushima Daiichi nuclear disaster, a series of events beginning on 11 March 2011 ... Major damage to the backup power and containment systems caused by the 2011 Tōhoku earthquake and tsunami resulted in overheating and leaking from some of the Fukushima I nuclear plant's reactors. Each reactor accident was rated separately; out of the six reactors, three were rated level 5, one was rated at a level 3, and the situation as a whole was rated level 7. A temporary exclusion zone of 20 km was established around the plant as well as a 30 km voluntary evacuation zone. The point I'm trying to make is that all of the observations about both Level 7 Nuclear incidents says that Fukushima isn't as large as Chernobyl, and Chernobyl wasn't exactly a civilization-ending event. Of all of the studies I have found of various nuclear disasters, it seems that scientists are just now coming out with the long-term effects of small-scale events. Most of the predictions come from conspiracy-theorist sites, and I'd hardly call them accurate by any means. Not the answer you're looking for? Browse other questions tagged japan nuclear-energy fukushima-daiichi . Can a “second Chernobyl” happen at the nuclear reactors damaged by the tsunami in Japan? Has public faith in nuclear power decreased significantly after the Fukushima accident? Is the Fukushima disaster causing an increase in infant mortality on the west coast of North America? 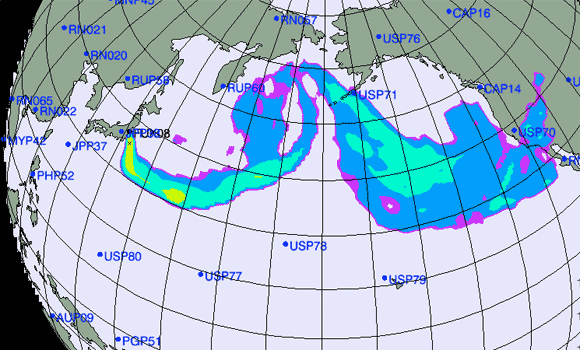 Was stable iodine distributed post-Fukushima by the Japanese government? Were members of the yakuza amongst the Fukushima 50? Could Fukushima daiichi cause the health problems suffered by the USS Ronald Reagan crew? Have people died of cancer from the Fukushima daiichi nuclear accident? Was the molten salt reactor (MSR) at Oak Ridge shut down over weekends? Did the isolation condensors fail at Fukushima Daiichi? Was human error involved? Have 1,822 people died in Fukushima as a result of the nuclear accident? Is Belgium restarting a nuclear reactor that suffered a fire and explosion and contains 16,000 cracks, without safety checks?